Now, the company founded by former engineers from Facebook and Google is making it possible for anyone with a web browser to publish their own AR camera effects. 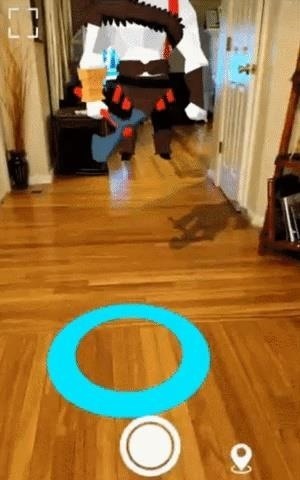 The AR Camera is a light version of the 8th Wall Web tool. With a drag-and-drop web interface and instant publishing capability, the AR Camera completely removes coding from the AR prototyping process. Users can add multiple 3D models and animations to their AR experiences and the console allows users to adjust light intensity, distance, scale, and animation speed. In addition, users can insert banners and links to other websites into the experience. The tool is also free for 10 AR Camera projects and 1,000 views per month. Anything more than that requires an AR Camera Plus plan that is billed at a cost per view scale. 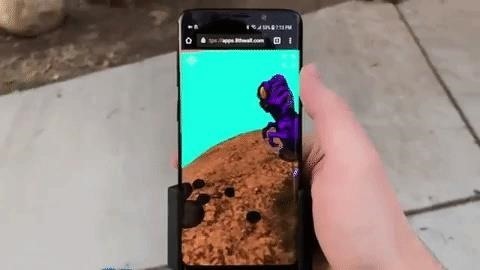 The new AR Camera feature comes as part of Release 10 of the 8th Wall XR platform, which includes the 8th Wall Web development environment. The new release also brings a new design for 8th Wall XR and a new developer console for the 8th Wall Web tool. I gave the tool a try, and it really is dead simple. 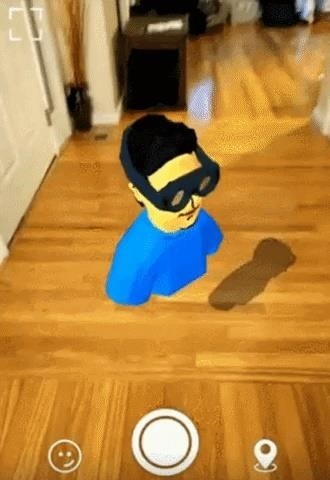 I was able to easily create two AR Camera experiences from 3D models created by Tipatat Chennavasin, general partner and co-founder at The Venture Reality Fund (and NR30 member) and hosted on Google Poly. So far, 8th Wall has demonstrated that its platform has the ability to deliver web AR experiences on par with native mobile apps, with the promotional experience for Spider-Man: Into the Spider-Verse serving as a heroic example. Using 8th Wall's slick new AR Camera platform, it's now possible for marketing teams and 3D designers alike to easily crank out AR experiences that will impress with just a little creativity.